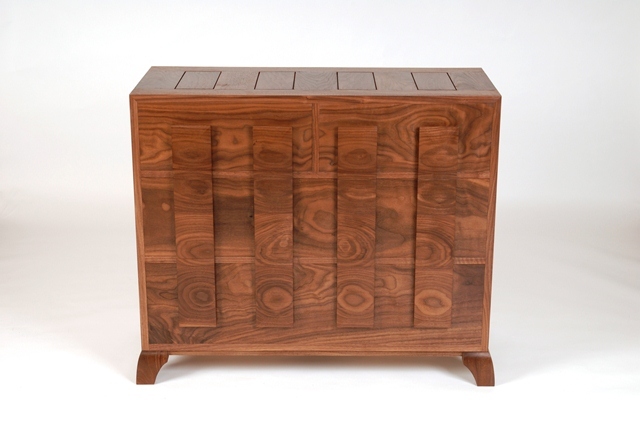 A beautiful walnut chest of drawers. The charm of the piece comes from the simple lines being off-set by the visual interest of the grain of the drawer fronts and handles. The oversized handles are functional and aesthetic and provide the rhythm for the rest of the panel work in the carcass.